Owner/winemaker Kevin Law is committed to the highest quality, terroir-specific Burgundy and Bordeaux varietals, from some of the most exclusive vineyards in the Santa Ynez, Santa Maria and Napa Valleys. A Santa Barbara native and familiar with the many appellations, his UCSB studies in Meteorology and Geology prepared him uniquely for a deep understanding of all the natural forces involved in defining site terroir, both from weather patterns and from site geology. 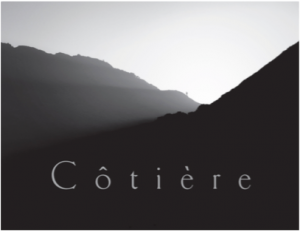 Côtière began in 2006, following his years working with premier vineyards in the Central Coast and the SLH at Tantara Vineyards. Fruit is from some of the most exclusive Burgundy varietal vineyards in the Central Coast, including the famed Talley “Rincon,” Presqu’ile, Hilliard Bruce, Murmur, La Encantada, Sanford and Benedict, La Rinconada vineyards. The Bordeaux program sources largely from Napa Valley, but also from the hotter, interior east end of the Santa Ynez Valley. To ensure site-specificity, he contracts vineyards by acreage, not by tonnage, allowing him to make micro-adjustments to the farming for exact rows, blocks and clones and control the yield and ultimate quality produced. A minimalist winemaking approach comes from his desire that “the vineyards be showcased, not the winemaking.” To support highest quality wines, he owns and operates the very best winemaking equipment, unusual for a winery producing only 2,000 cases per year. Saying “I truly feel that good reliable equipment does translate into great wine,” means he has his own winery and uses a German-made, brand new top quality press, sorting table, de-stemmer and tanks. “While more expensive equipment exists, like optical grape sorters, I feel that this extreme technology takes away from Terroir when farming, and great vineyard management can do an even better job.” All reds are made without fining or filtration. While not dogmatic about any random alcohol level threshold yet striving for brightness, most of his wines end up with less than 14% alcohol. 60% Semillon, 40% Sauvignon Blanc. No new oak, fermented in concrete, stainless and neutral oak. “Derive” is French for a spontaneous journey led by the terrain and landscape. 200 cases. 70% from two highly acclaimed vineyards, the cool, sandy Murmur, and 30% La Rinconada. Barrel fermented in 30% new French oak. A delicious, high-quality Chardonnay that over-delivers for the price. 200 Cases. Bright and lively Meyer lemon, bees wax, flowers, peach, chamomile, lime zest, minerality, long vibrant finish. Aged in 30% new French oak barrels. Rinconada is between two famed vineyards -Sanford & Benedict and La Encantada – above the banks of the Santa Ynez River. 75 cases. From Presqu’ile and River Bench, 30% whole cluster and 30% new French oak. Unfined and unfiltered. 200 cases. Blended equally from the exclusive La Encantada and Hilliard Bruce vineyards, both on the cooler western end of the appellation. 30% whole cluster and 30% new French oak. Unfined and unfiltered. 175 cases. 92 Points, Galloni: “The 2015 Pinot Noir Presqu’ile Vineyard captures an attractive stylistic middle ground in that it is ripe and racy, like all the 2015s are here, but also has good aromatic lift from the 35% whole clusters. This is an especially powerful expression of Presqu’ile, but it works beautifully.” . “Derive” is French for a spontaneous journey led by the terrain and landscape. 51% Cabernet Franc, 27% Cabernet Sauvignon (Napa Valley), 22% Petit Verdot. 50% new French oak for 20 months, then bottled unfined, unfiltered. 90 cases. The 2016 Cabernet Franc is a 50/50 blend from the low-yielding Mateo Vineyard near Happy Canyon, and the biodynamically farmed, sandy- soiled Martian Vineyard, both in Santa Ynez Valley. 98% Cabernet Franc , 2% Petite Verdot. No new oak, unfined and unfiltered. 75 cases.